So, I juuuuust posted something about my fishing friend Mikey Wier heading down to Belize and fellow trip-mate Adam Barker shooting some great pics. Well, Adam has a blog and pics from that trip are now up. Worth a gander. Some of Adam's fine, fine work. This entry was posted on Saturday, April 10th, 2010 at 3:21 am	and is filed under All the other stuff, Locations. You can follow any comments to this entry through the RSS 2.0 feed. You can leave a comment, or trackback from your own site. WOW! That guy really knows how to take awesome photos. So awesome, in fact, I’m throwing my camera into the drink next time out. Why bother? Use it for a paperweight…. Yeah, some pretty good stuff there. 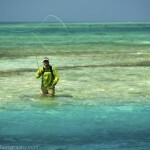 Guy does mostly skiing pictures, but it seems he has the knack for fishing photography too, I’d say.